Not too shabby! I feel like I am making more progress with this one than my next one! I am hoping to make better progress with this one soonish! I just have a few too many review books to get through that's impeding this particular challenge! 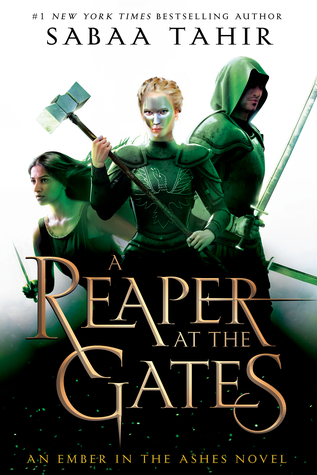 Win a SIGNED Copy of A Reaper at the Gates!! Okay, I am finally doing the contest I've owed you for over a week now! Initially I would've had this up last weekend, but I went out of town and semi unplugged from my blog for that long weekend! I still popped up in the blogosphere here and there because I can't ever leave it for THAT long! Lol! Sadly, I can't really recap much of the event itself because it's been too long and too much has happened since then! But it was still a most enjoyable evening because I was in the presence of greatness! Lol! Every author event is always amazing, no matter how big or small. As long as the author is there and talking...I'm happy! and some character posters with quotes!! Hopefully you can make the picture bigger by clicking to read the quotes but you get one from each of the books...SO FAR!!! The rafflecopter is below and will be opened to US addresses ONLY. But again, that means if you're international and have a US address you can use for such things, that totally counts!! Have at it! So we're officially past the halfway mark this year and I've read quite a few books already! 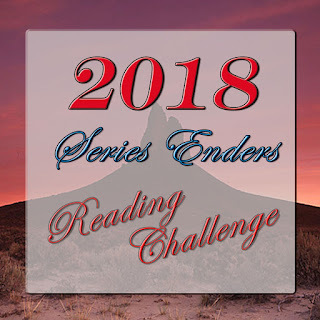 I'm writing this post in advance so I am not sure why my number is exactly but I am already halfway through my Goodreads challenge! From those 50+ books I can honestly say I enjoyed all of them to some degree and the majority were really really enjoyed! I tried to pick a favorite...lol...yeah, I did say that. I tried to pick 1 favorite and couldn't do it, but I limited myself to 3 so that's pretty good all things considered! Lol! Favorite Reads So Far in 2018. I'm not going to include the ARCs I've read that haven't been released yet, otherwise that would be upping my count here. 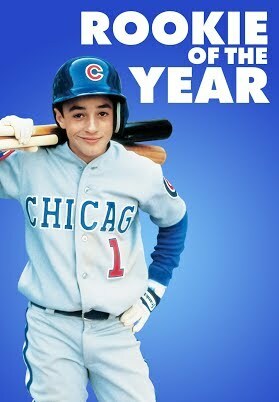 The topic said "favorite" as in one and if you know me at all, you know I can never really truly pick a favorite! I tried, I did! But then as I kept scanning my list I was like ooh, that one and that one and that one, and so on, so I cut myself to three! 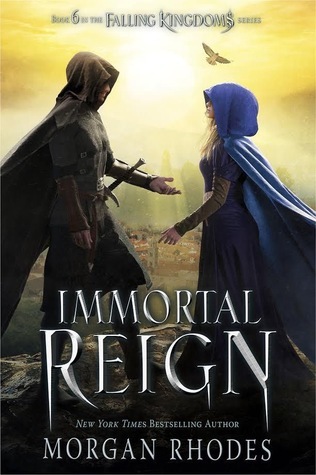 Immortal Reign by Moran Rhodes...what I felt like I waited eons for even though it was only a few months late! But it was a devastating wait! If you've read the series then you know what I mean! But I can easily say this one was worth all the wait and heartache. I could've done without all that and still loved this one so thoroughly, but you know how it is. Our tears feed the author's muse! Lol! 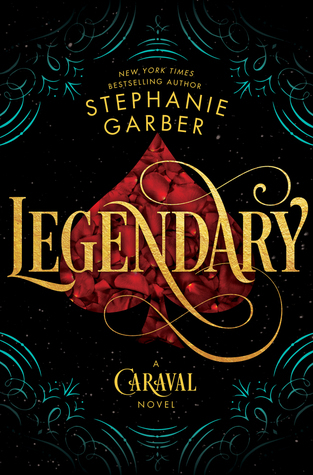 Legendary by Stephanie Garber, I struggle to coherently explain why this series keeps me so riveted! It's just amazing and I love this world and the characters! I cannot wait to read more! 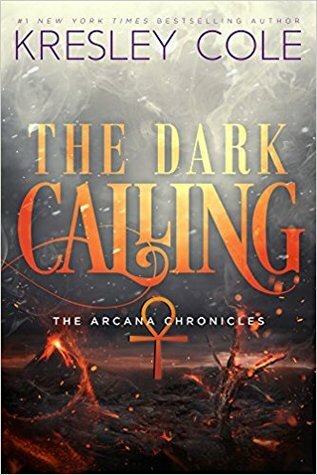 The Dark Calling by Kresely Cole is another one I loved soooo soooo much! And wow! She seriously keeps upping the game and twisting my heart all over the place. I mentioned awhile back a love/hate relationship with love triangles because sometimes you encounter that triangle where you just don't know who you want the girl to choose. Well this is one of them! I swear I pick my "team" and I literally change it back and forth so many times that I can't decide who I really want to see Evie with! I'll be anxious for the final book and hopefully her final choice and not one of those that feels like a copout where she doesn't really choose at all. 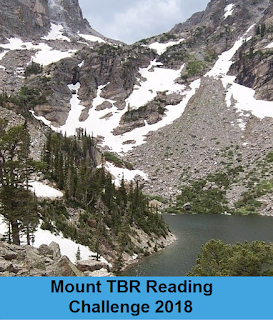 And those are my top 3 reads (at the time of writing this post) of the year so far! Sure there are more reads that would easily make my top whatever list. It wouldn't quite match the number of books I read as there was a handful of comics I read in that number. I enjoyed those but I wouldn't say they'd make The List! Lol! What has been your favorite read(s) so far this year? MY ANSWER: Yes, yes I do! I'm agreatreader! I can honestly say that I mainly follow bookish people. I mean, yes the bloggers I follow will post other nonbook pictures. But I follow book bloggers, authors, publishers...it's all very bookish! I follow some family members as well who aren't bookish but yeah, I'm definitely a bookstagrammer--lol! Though my pictures are still only so-so! The Little Book of Answers by Doug Lennox continues to provide me with information that I never knew I needed! Lol! It is pretty interesting where all these oddly common phrases and whatnot have come from! When someone has a hidden agenda, people say he has an "axe to grind" and the meaning behind that comes from when Benjamin Franklin was a young boy and was sharpening some tools when a stranger carrying an axe came by. He commended the job he was doing with the tools and the grindstone. He asked Ben if he would show him how to do that to his axe. Though after Ben demonstrated how it was done, the man laughed and took his sharpened axe and walked away teaching Benjamin Franklin a lesson about people with an "axe to grind". I thought that was rather interesting! Rookie is referred to someone who is new to an organization that requires teamwork and by not knowing how things are done could cause errors. The word dates back to the American military during the Civil War when the a great deal of the soldiers were young and untrained. They would rush into battle without much thought and cause a lot of problems with discipline. The veterans referred to them as "reckies" which was an abbreviation for recruits. Eventually we started calling them rookies. We got the verb "to beg" back to the 12th century when a monk named Lambert de Begue had followers who roamed the French countryside and depended on handouts. Then in 555 AD, Belisarius, a Roman general, was stripped of his rank and wealth and became one of history's most famous beggars. He would frequently cry out, "Don't kick a man when he's down." 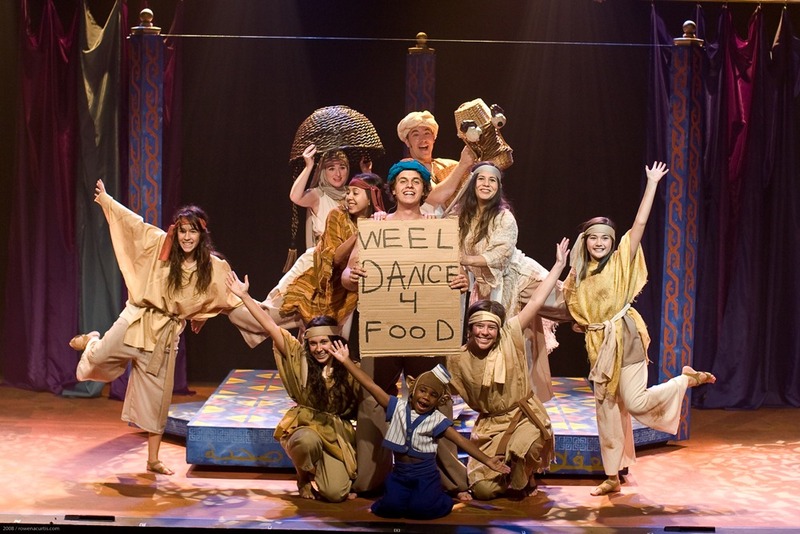 It's said that this is where we got the name beggars. When it came to the assignment of sainthood in the Roman Catholic church, there was a specific individual who was to investigate the candidate and validate any associated miracles with him. This individual then argued against the canonization by denigrating the potential saint on behalf of the devil. 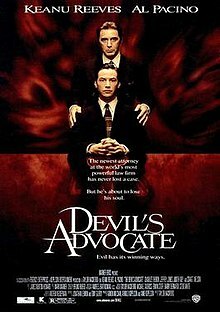 Therefore his official title was the "Devil's Advocate". I'll admit I'm a bit puzzled by this. So the church had a guy who basically said why the person they want to be canonized into a saint, shouldn't be? I mean, I am making the paragraph into my won words with little changes to context. So I remain befuddled with this one! When you do things differently you're called a "maverick". This name comes from the 19th century with Samuel A. Maverick. He was a Texas rancher who was stubborn and cruel. He apparently didn't want to brand his cattle even though it was the only way to identify who it belonged to. He started to collect any and all unbranded cattle, even if they weren't his. At first, any unbranded cow was a "maverick", but soon the word would grow to mean anyone who doesn't play by the rules. I am REALLY excited for this one! 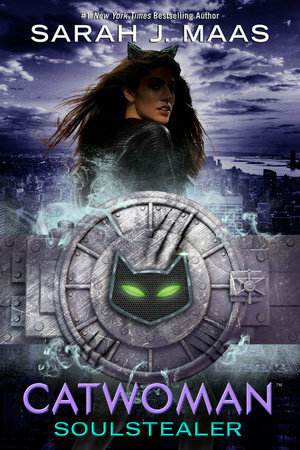 Not just because Sarah's name is attached to it, but because I LOVE Catwoman! Michelle Pfeiffer was the first one I remember seeing and she's remained my favorite! That and the animated version from the TV show wayyyyy back in the day! Lol! "His brows lifted, disappearing into the wavy locks of brown hair. He stepped in, and I imagined I could feel the heat coming off his body. Maybe it wasn't my imagination, because he was close enough that if I shifted one way or another, my legs would brush his. **these are ones I haven't quite given up on, yet these series still remain unfinished after too many years. In some instances I still need to start them...that list is actually longer though! For the moment I still intend to read these books before my death! Lol! 10. 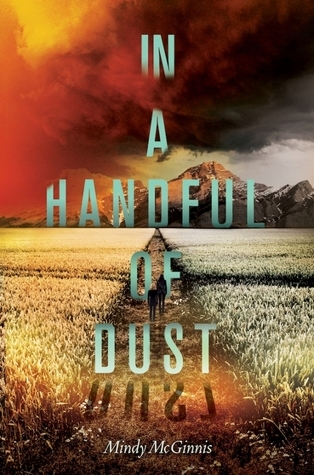 IN A HANDFUL OF DUST (Not a Drop to Drink Duology) by Mindy McGinnis--I read the first book years ago before meeting the author and have yet to read this one! I was more concerned with reading a book from each of the multiple authors in attendance than finishing any series. 9. 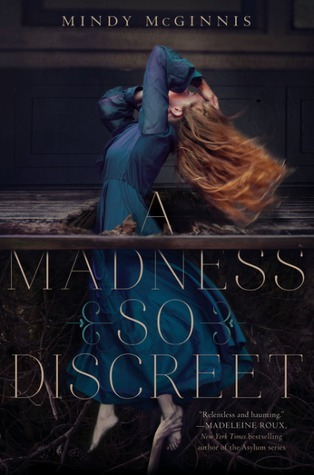 A MADNESS SO DISCREET by Mindy McGinnis--this one looked so creepy with the cover, but then the reviews had me very hesitant about it, so it made its way to the bottom of the TBR stacks. 8. 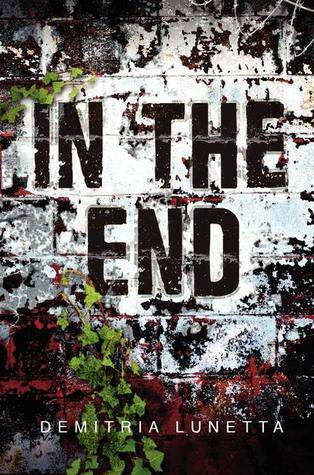 IN THE END (In the After Duology) by Demitria Lunetta--the same answer to #10 applies here too! 7. 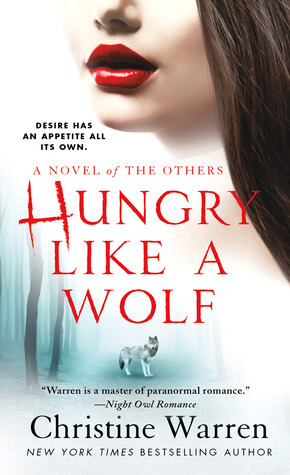 HUNGRY LIKE A WOLF (The Others Series) by Christine Warren--yeah, it's been sooo long since I read this series last! So behind now! Luckily the books can be read as standalones so I should be fine when I return to it! 6. 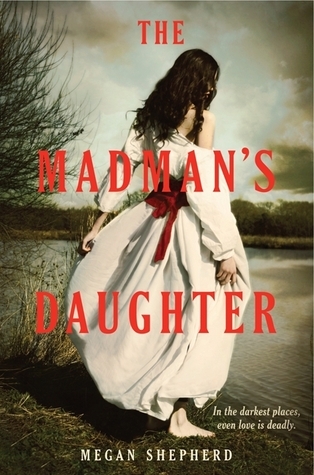 THE MADMAN'S DAUGHTER (The Madman's Daughter Trilogy) by Megan Shepherd--I am sooo behind on this author's books it's ridiculous! Lol! 5. 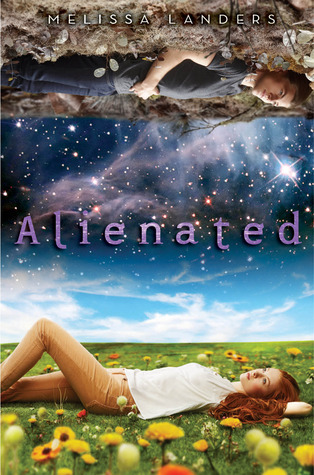 ALIENATED (Alienated Trilogy) by Melissa Landers--another series to start! Though I did start her duology...but I still need to finish that one too! 4. 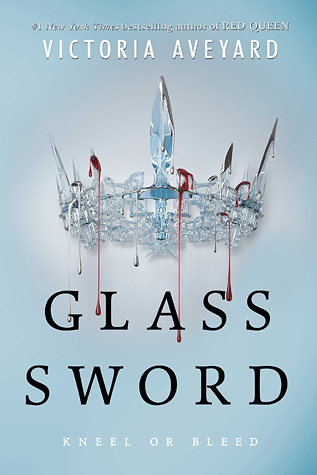 GLASS SWORD (Red Queen Series) by Victoria Aveyard--so when I heard that this one ended with a pretty hefty cliffhanger I decided I'd wait until the series was done to continue it. I am now out of excuses! 3. 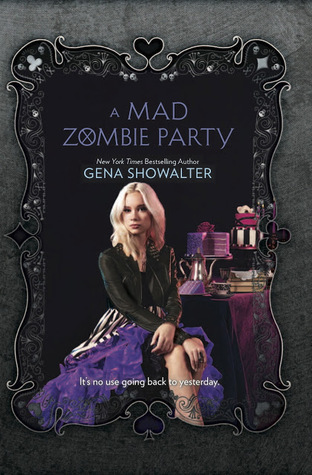 A MAD ZOMBIE PARTY (White Rabbit Chronicles) by Gena Showalter--another finale I need to finish. Though I feel like it was more of an add on companion since Ali's story came to an end. But it's still one I sooo want to read! Just like all the hundreds of books in my TBR pile! 2. 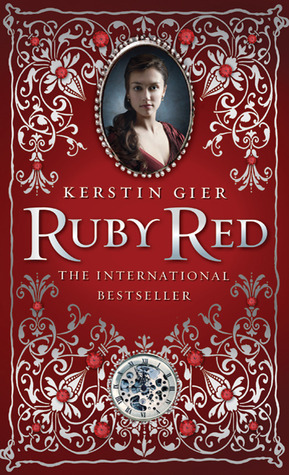 RUBY RED (Precious Stone Trilogy) by Kerstin Gier--this was one of my first contest wins when I started out blogging. Well, blogging regularly I guess since the book released in 2011. The entire series remains unread but all in my TBR pile! 1. 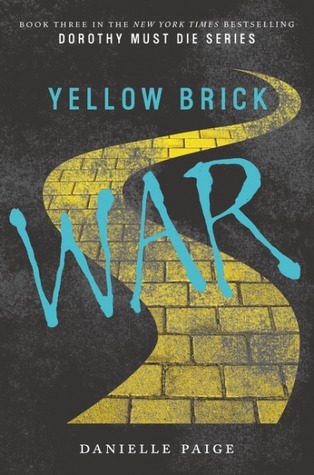 YELLOW BRICK WAR (Dorothy Must Die Series) by Danielle Paige--I loved Dorothy Must Die and then felt so-so about book 2. So I am hoping this third one was better! I decided once again, I'd just wait to read the rest of the series once all the books were out. This next topic I bring to you is an odd one for me because I haven't had time for a re-read in ages. Not because I don't want to, but because I really want to read the hundreds of books in my rooms waiting to be read for the first time! There were definitely two books I remembered reading multiple times. At one point I had a notebook where I kept track of how many times I read these books. No clue where that notebook went though. 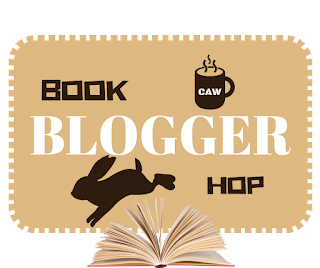 Demon in My View by Amelia Atwater-Rhodes was definitely one of them! It's under 200 pages, so for today's standards it's extremely short. I feel like back then it might have been about average? I can't recall really. It may have been on the short side still. Under 300 might have been the norm, so it was still probably just a little too short back then but still amazing! It's shortness was probably why I re-read it some much! It was a one day read many a time in my summers off! Old Magic by Marianne Curley was another I re-read a handful of times. This one is just over 300 pages, so definitely longer than my previous favorite. It also led to it not being read as many times. Though I do remember a lot of tallies next to it in the missing notebook! Nowadays I'd think that even this one would be a bit short. Of course I keep basing things on books like ACOMAF series and a few other books that go into 400-500 pages as a YA! Lol! 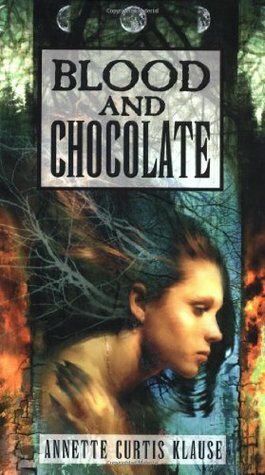 Blood and Chocolate by Annette Curtis-Klause was another that I am pretty sure I re-read. 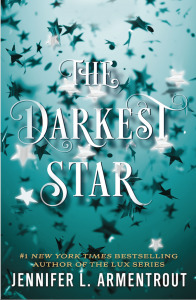 At least 2-3 times because I might have had a good year at this point in finding Paranormal YA books and didn't really circle back around to this one to re-read endlessly. I honestly would love to go back and re-read all of these! I am pretty sure I'd still love them. Though I might laugh at a few things because of the timing. These books are all pretty old now so it makes me wonder what was going on in those times. Lol! I left Goodreads links to all the books because while I am pretty sure I could remember their main plot points fairly well, I can't say if I will let a spoiler slip because I can't remember what was spoilery and what was common knowledge within the first several pages! Lol! So to be safe I decided to remain quiet on their story-lines! I can easily say that these are likely 5 star reads, though keep in mind they're older and probably aren't up to our 2018 standards! Hey all! Just popping in to say that I will be MIA this weekend! Taking a little roadtrip getaway up to my aunt's in Wisconsin! Fingers crossed (since I write this early!) that the weather will be sooo much nicer than it is in St. Louis! Lol! I won't be making my usual rounds of blog visits but I will be back in action on Tuesday! At this time, I can't say if my STS post will be up or not (again, I'm writing this post pretty early!) so that may or may not be up. If not, I'll showcase what I got this week next week in a two week haul post! Another topic taken from my helpful list! I've talked about my love of paranormal and all things weird or creepy and the like. But this topic I thought I would take a stab at because I did use to read it but I left it behind. And if you haven't already guessed it, that genre is Contemporary. Like I said, when I was a teen and was looking of Paranormal YA books and struggled to find them, I settled on Contemporary reads. It was when the Paranormal reads were really starting to thin out and the Contemporary reads were just suddenly annoying me. Perhaps it was the ones I was choosing. Again this was the pre-blogging days so I had no recommendations to go on, just my whimsical choosing of books from Borders shelves--because it was always Borders...unless it was Waldenbooks their mall counterpart! Lol! The books just weren't holding any interest for me. It was like the characters were happy not doing anything or were just getting too whiny for me. Again, I am saying this of books I was reading likely 10+ years ago because at one point I was just done. I decided to walk away from the YA section that was so filled with Contemporary books and venture to the other side of the store where the adult books were and a whole section of Sci-Fi/Fantasy was just waiting for me to come over! That itself felt like a new experience as I started looking at books and pulling them off the shelves to see if it was something I wanted to read. Honestly this way of looking for new reads was very tedious. My mom pretty much parked it in the cafe after twenty minutes. I'd spend a good hour or so just walking the shelves as I looked for a new read because even as a teenager I HAD to have something to read. I couldn't not have a book. I did re-read, but every now and then I needed something new. Especially since I didn't know how to find out about new releases from authors I was enjoying. I just had to go to the store 2-3 times a month and look for new reads. After I decided to leave Contemporary books I decided I never wanted to go back. Because I was thoroughly enjoying myself in the worlds of fantasy and paranormal. Ordinary lives no longer held an interest for me (again stating the opinion on the books I read way back when. Not even sure what Contemporary books are about these days). I'm in no way bashing Contemporary books or people who read them. This was just my experience with them growing up and how I needed something more to my books to read and escape my ordinary life. Is there a genre you don't read anymore? Or is your least favorite but will read every blue moon? MY ANSWER: Well, I do work full time during the day, but...and here's where it gets sad...I don't have much of a social life. So every Friday night I write up my blog posts for the week ahead. Mostly the memes and other random discussion posts will get written over the course of the weekend. As for reviews I try to write those right away so nothing gets forgotten...and so I can start my next read asap as well! Stacking the Shelves--The Legendary Pt 2 Edition! Let's Discuss: Let's Make a Movie! The Search for a GREAT roommate Continues!!! Stacking the Shelves--The Legendary Pt 1 Edition! Let's Discuss: How Do You Deal with Stress?